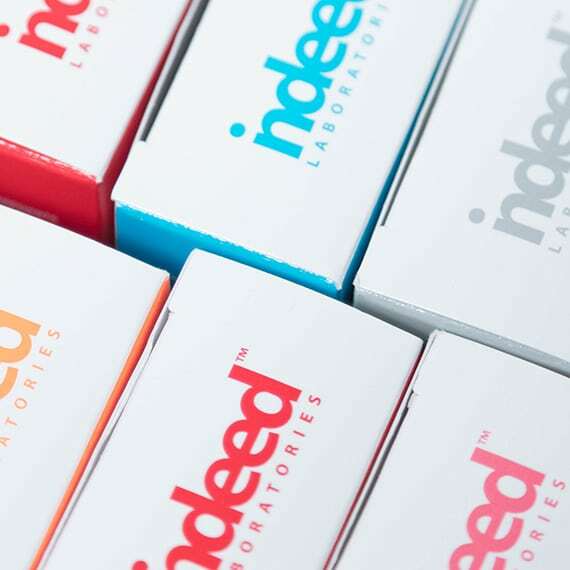 Indeed Labs currently ships to Canada and the United States. Shipping to other international destinations is unavailable at this time. Indeed labs offers FREE 3-5 DAY STANDARD SHIPPING on all merchandise orders $50 or more (excluding taxes). For shipments totaling less than $50, there is a delivery charge of $5.00 for standard shipping. Orders are processed within 3-5 business days. Orders will be shipped Monday-Friday, excluding federal holidays within U.S. and usually take 3-5 business days to arrive. Packages do not require a signature upon delivery. Our standard shipping carrier is U.S. Postal Service. Indeed Labs accepts Visa, MasterCard and Paypal. During the checkout process, you can add, edit, or delete your information. Your credit card will be charged as soon as your order is accepted and processed. If you have a coupon or promotional code, you can enter by expanding the Promotions section. Only one promotional code can be used per order. Please review your order to ensure that your order information is correct, especially the shipping and billing addresses. If you want to change your order, or any of the shipping or billing information, go back to previous steps by clicking on ‘select’ for section you want to edit. The total price includes taxes, shipping and handling charges. If you decide not to place your order, you can cancel your order at this time. Can I use more than one promotion at checkout? At this time you can only use 1 promo code per order. If you want to check the status of your order, please use the tracking number included in your shipping confirmation email. The order confirmation e-mail includes your order number, products ordered and prices, any promotional coupons, your ship-to and bill-to information, and the ship method. If you have questions about your order, please email us at support@indeedlabs.com and we would be happy to assist you. Once your order is placed, it cannot be modified or cancelled. You may return any unused or unopened products within 30 days of delivery, for a full refund to your original form of payment. Returns are not permitted after the allowable return period. Customers who purchase products from Indeed labs website may return them by mail. Pack the items along with a copy of your invoice. Returns must be prepaid; please note return shipping fees are not refundable.